Virginia Right! 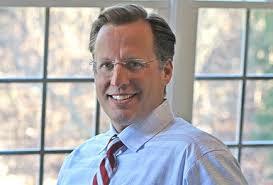 Endorses Dave Brat for Va 7th District Congressional Seat in Primary vs. Eric Cantor | Virginia Right! Virginia Right! endorses Republican Dave Brat in the Republican Primary for the 7th Congressional District seat currently held by Eric Cantor. I have known Dave Brat for several years and have been impressed with his expertise on the economy, but he has a PHD in Economics, so that is somewhat of an understatement. His belief in the free market and understanding of how things work is unequaled. Brat teaches economics and ethics at Randolph Macon College in Ashland, Va. He has served both Republicans and Democrats in an advisory capacity on education as well as economics. He has taught ethics outside of the college as well, which is the forum in which I first met Dave. He is a rare individual and is a wonderful opportunity for the voters of Virginia’s 7th District to upgrade to a more knowledgeable representative. My problem with Eric Cantor is that he has become quite adept at telling the voters back home one thing and then doing the opposite when he returns to D.C. He has failed to balance the budget, tame the debt or reduce the deficit. He has failed to defund or repeal Obamacare – although he has patted himself on the back at the dozens of “feel good” bills that were legislation to nowhere that pretend to curtail Obamacare, then he turns around and fully funds this horribly destructive legislation. The only sure bet with Cantor is that he will cave in on Obamacare at the end of the day. And Cantor has sold out the voters of the 7th District for personal political power. When one becomes Majority Leader in the House you cease representing the voters back home and do what you are told in order to keep your position. Cantor is owned and operated by Speaker John Boehner. And Virginia deserves effective representation. And now Cantor and Boehner plan to offer amnesty to people who illegally entered this country. And with the amnesty will come citizenship and the right to vote. There are enough illegal aliens in Texas to turn Texas “blue” forever locking Republicans out of the Presidency. And this Democrat goal is well within probability if Cantor has his way. If we stop Cantor we stop amnesty and rewarding lawbreakers with the right to vote. … unfortunately, however, our current congressman, Eric Cantor, has failed to uphold that Creed, and it is time for a change. It is time to term limit Eric Cantor. Visit Dave Brat for Congress to learn more, volunteer and (or) donate to his campaign. Dave Brat presents a major problem for liberals who try to continue increased government spending by discrediting conservatives and claiming the budget is “too complicated” for conservatives to understand. For years in Virginia, everyone from the media to Governors have come to Dave Brat for insights on the budget, knowing that he tested his rural values against the intellectual elite while at Princeton and against the powerful elite at American University. That experience continues to give Dave the ability to make the case for new budgets that are based on the fact that a free and robust economy is necessary for a free society to thrive. With Dave Brat representing us in Congress, hard-working Virginians will have a champion fighting for them every day. A product of the rural Midwest, he learned the value of faith, family, and a strong work ethic at a young age. Dave was determined to get an education that would empower him to help others reach their economic dreams. Dave’s journey led him to Princeton where he obtained a Masters in Divinity and on to American University where he earned a Ph.D. in Economics. That education has led him to a career serving the Commonwealth. In 1996, Dave and Laura moved to Henrico and he began teaching Economics and Ethics at Randolph-Macon College, and he chaired the Economics and Business department for the past 6 years. He has served the Commonwealth in numerous capacities. Dave served two Governors on the Joint Advisory Board of Economists. He was president of the Virginia Association of Economists. Dave has been honored to serve the Commonwealth in numerous capacities including: serving two Governor’s on the Joint Advisory Board of Economists and serving on the Richmond Metropolitan Authority, the Great Aspirations Scholarship Program, and the VACO OPEB Investment Board. His economic expertise has also been recognized by his peers who elected him as president of the Virginia Association of Economists, and the Governor also appointed him to the Virginia Board of Accountancy. Dave is also regularly called upon by regional TV Stations and Newspapers to offer understandable insights into current economic issues and to provide ethical insights on the public policy issues of the day. An active member in the Henrico Republican Party, Dave has been a consistent conservative voice in his community. Dave has spoken on ethics and economics and worked with a diverse range of groups including most of the regional Rotary Clubs, many Churches, businesses, academic institutions, political groups, the Asian Chamber, the Richmond Federal Reserve, and a host of business associations. A man of deep faith, Dave attends St. Mary’s Catholic Church with his wife Laura and their two children: Jonathan, 15 and Sophia, 11. Dave is running because the political and economic systems are broken. We live in an era of inter-generational theft; we are racking up bills only to hand them off to our children. Dave Brat is committed to getting our fiscal house in order. Our Founders knew that good government required wise leaders with good character. Dave promises to make the hard decisions because it’s the right thing to do – regardless of political expediency. A proven leader, Dave Brat brings the right experience, the right convictions, and the right background to provide Virginia with the leadership it deserves. He is the voice we can trust, and the leader we need. We do have a say in our political system. We do have the power to work together to change course. Dave Brat is that change. It’s a nice commercial but what are the “hard stands” Dave will make. All I see are generics. Our Founders knew that leadership required being faithful to their oath to the Constitution. We don’t need “change”, we need restoration to our founding principles. John – Might I suggest you go to a meet and greet or contact Dave by email or by phone. I promise you that he can answer your questions. And form your own opinion. What I know for sure is that one of the candidates in this primary has repeatedly promised things he has not done. And that is not Dave. Tom White recently posted…Did You Hear the One About Eric Cantor and Barack Obama at the Grocery Store? What makes you think I haven’t? I was just hoping for more than verbal flowers. I would have rather seen a list of his goals as my congressman. Yes his resume is impressive. But you could have left that at the bottom. So between my meeting him and this article, I need to do more research about what he believes in. I absolutely agree and encourage anyone to take the time and find out what Dave has planned. We are still very early in the process and he has said the specifics will be posted on his site. I am sure he has his ideas but he is out talking to voters and your input will be crucial in his plans. We already know Cantor’s plan. Amnesty, promise (and fail) to balance the budget, pay the debt, fix or replace or repeal or defund Obamacare. Tom White recently posted…Forum: Did You Watch The SuperBowl this Weekend? Why or Why Not? Count me in, this Dave Brat is THE REAL DEAL! He has my support. IF YOU DON’T STAND UP FOR CONSERVATIVE CONVICTIONS, YOU LOSE MY SUPPORT! Shamnesty must never happen. b.ho’s agenda is ruining us all. Shame on you, Eric Cantor.